Terrific shot of the Great Egret! Is that a deceased animal in the grass? That is a wonderful capture! Great shot of the Great E. They are getting ready to go into breeding season here in SE Texas. 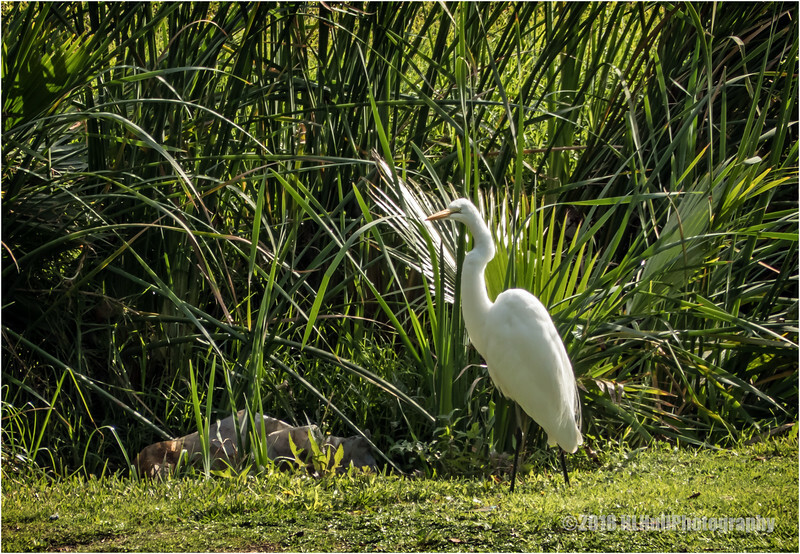 The palm frond and other broad grasses/reeds gives a nice tropical look to this view of the Great Egret.